Android Developers are being reminded by Google to shift their attention away from the Menu button and focus instead on the Action Bar. The Menu button function is commonplace in pre-3.0 versions of Google's Android operating system. It allows users to view options for a particular application by pressing the Menu button on their device. With the introduction of Honeycomb (version 3.0) and now Ice Cream Sandwich (version 4.0) the function has become redundant as these operating systems remove the need for physical buttons. This year we expect to see a new wave of devices running Ice Cream Sandwich, so developers need to make sure they update their apps to use the Action Bar. 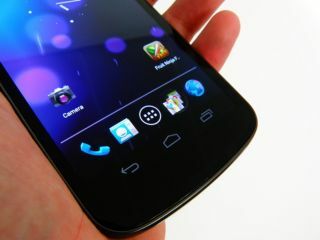 Developers need to follow the new Android user experience as many Android devices are expected in 2012 to feature button free designs. Apps will continue to work on the new software, with Google building an action overflow button which acts as the menu button. The action overflow button will display on all applications which have not been updated to Android 3.0+, even if they do not require it. Are you all for button free devices, or will you be pining for your menu, home and back buttons?